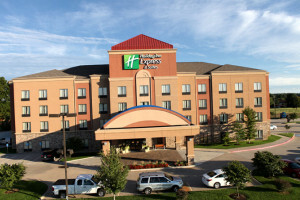 From Romance to Baseball the Holiday Inn Express Springfield, Missouri MO has it all! Not only do we offer an array of packages, we offer discounted group rates for your business and social needs! Our highly qualified staff will help you plan the meetings that help you succeed, and the events in Springfield, Missouri MO will be talked about for years! Do your guests need sleeping rooms when attending your meeting in our city? Don’t worry! 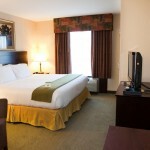 Our hotel would be delighted to offer group discounted rates for 10 or more sleeping rooms. At our hotel, we have a Sales Professional waiting to help you plan out all the details to ensure your meeting has a favorable outcome! Are you planning a wedding? Congratulations! A Family Reunion? High School Reunion, Military Reunion, or a Tour Guided Trip? How about a youth Soccer, baseball, hockey, basketball or gymnastics tournament? Is your church group coming to our city? At our hotel, we have a Group Sales Professional anticipating your call to help you plan your remarkable event! We know when you are traveling many times it is for business. In our hotel we have meeting space available for our guests. If there is anything we can do to help you succeed in you ventures while you are in town please let us know.